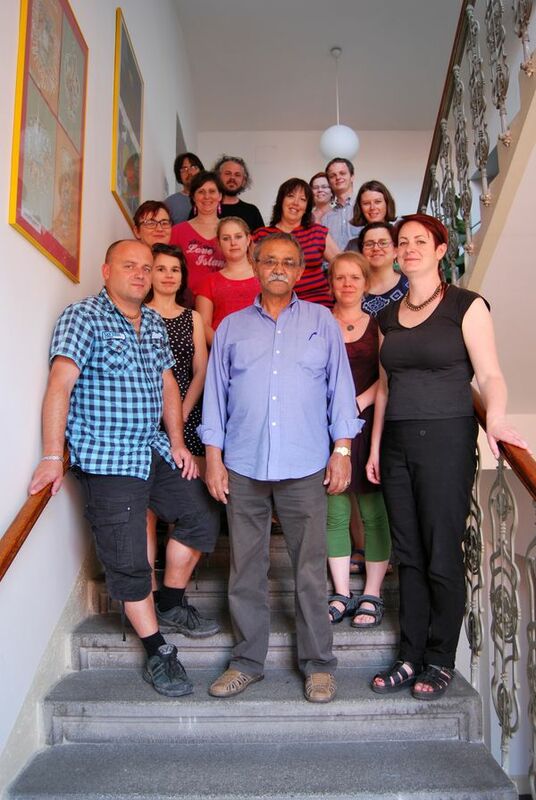 Despite the fact that they have not always been warmly welcomed by the majority societies around them, traditional Czech Roma and Sinti have been an integral component of Czech society for centuries, a society that was previously much more culturally diverse, with all that such diversity entails. Likewise, these traditional groups were far from a homogenous community of their own, as they might have seemed to outsiders, but were just as socially articulated as other groups in society: In addition to semi-sedentary and traveling families, whose way of life was closely connected with their not very well-paying livelihoods, there were also proud members of these communities who were even more upstanding citizens, members of the middle and upper-middle class, successful business people, and even people active in the state service. The Romani Holocaust, which deprived as many as 90 % of the more than 6 000 Czech Roma and Sinti during the Second World War, made A Vanished World, of that group of inhabitants in the Czech lands, and that fact inspired the name of this exhibition of photographs from the not-so-ancient history of the indigenous Czech Roma and Sinti which is one of the important projects of the Committee for the Redress of the Romani Holocaust in the Czech Republic, and which has also inspired the name of this website. You can learn more about the travelling exhibition A Vanished World, which is being show in socially localities, in the sectoin called Projects, tragický , and about the tragic fate of traditional Czech Roma and Sinti in the sectoin called History. You can also read there about the different historical experiences of the Slovak Roma, whose descendants comprise the majority of the Romani population in the Czech Republic today, and who frequently know very little themselves about the tragic fate of the traditional Czech Roma and Sinti, which is precisely what our activities attempt to redress. 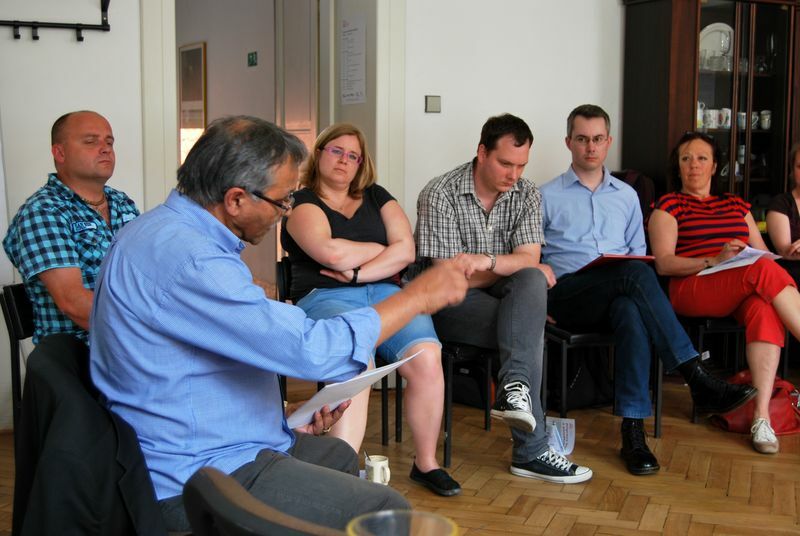 We are Romani Holocaust survivors and their descendants, and in our work we strive, among other matters, to redress the dire lack of knowledge among Romani people about their own history from the era of Nazism. After all, we know that ignorance of one’s own history frequently leads to problems in the present. The travelling exhibition, A Vanished World, is being shown in ghettos around the Czech Republic, teaching people not only what constitutes an acceptable model of social behavior, but also how to prevent conflicts and the importance of self-sacrifice. Ultimately, this teaching is of benefit to the majoirty society as well. Due to a lack of external stimulation, we can see that most citizens residing in the ghettos today are suffering from being closed up in their own group, from a kind of lethargy, a lack of imagination, a learned helplessness and low self-esteem. There is lack of a vision of the future there and a lack of will to plan. This travelling exhibition project will help us better get to know ghetto residents, to follow their energy levels, to identify leaders among them, to motivate them appropriately to bring others out of their lethargy, to be able to recognize impending dangers, and to become experts about their own lives. 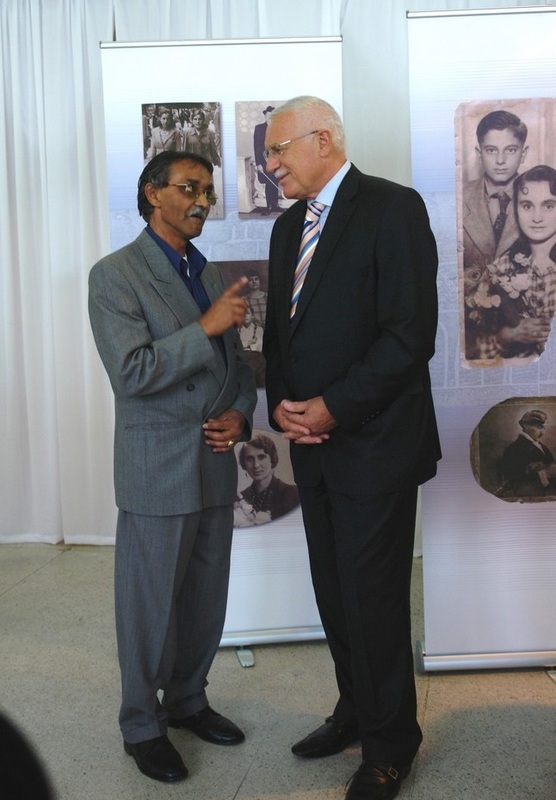 The President of the Committee for the Redress of the Romani Holocaust in the Czech Republic, Čeněk Růžička, with the then-President of the Czech Republic Václav Klaus, at the launch of the exhibition “A Vanished World” on 5 September 2007 at the National Gallery in Prague. While I am not an especially educated person, I do hold a certificate in the craft of stonemasonry. I did not continue my studies simply because for my dear parents, apprenticing in a craft was the highest imaginable goal. There were no job shortages during the totalitarian regime - each person had no choice but to work - and manual labor, especially craft work, was rather well paid. I enjoyed the craft, I made a good living from it, and I did not feel the need to educate myself further. It’s also necessary for me to tell you that prior to democracy there were not many Romani people who apprenticed, to say nothing of achieving a college education. On the one hand that was because most of my peers were educated in the so-called “special schools”, and on the other hand it was because back then one could make a decent living at manual labor. The motivation to educate oneself was much less back then. Today the situation is different. You are the children of Romani people, and unfortunately, your entrance into the life of this society is somewhat more complex today. Your parents comprehended the trend of this time well, and certainly you are grateful to them for making it possible, very often at the cost of their own self-denial, for you to get a college education. You are grateful to the organizations that financially contribute to your studies. Honestly, you have a great deal to be grateful for. Look at the educational level of most of your peers. After completing compulsory education, their parents do not force them to even at least apprentice in a craft, although even these days the saying applies that “řemeslo má zlatě dno.” (Crafts lead to gold). Esteemed students, you have received an opportunity to break down the prejudices that have made our lives so unpleasant, and whether you like it or not, you will gradually become our representatives. Society will perceive you as such, and the more of you there are, the less society will be able to say that we Roma are an ineducable nation. I will share with you the experiences that I have tested during my own life. I am respected by those who know me, and my word is worth something. Do you know why that is? Simply put, people need me – without even being aware of it, through my behavior I have been naturally, publicly promoting Romipen, and I continue to do so today. Simply put, I have never tried to make myself something that I am not. I have remained a Romani man who professes the kind of pure Romani values for which the majority society has also always admired us and, thank the Lord God, for which they still admire us. My wish is that these values will remain with you all as well. Be college educated, and preserve your Romipen. It belongs to you and because of it, you will always know where you belong. You will come to know that the esteem others have for your will increase, your pride in being Romani will increase, and the respect others have for you will increase. In order to fulfill that task here, I’ll tell you at least a little something about Romani culture. It seems a bit curious to me that I should be telling you something about your own culture and I presume that something of it has remained with you, in some form. Our way of life – of reasoning, of taking action, of thinking – has always been formed by the environment in which we have been living. Because it has more or less been an enemy environment, cohesion with our relatives became a main aspect of our culture. That cohesion made life easier for our kin in an enemy environment. For that reason, some Romani extended families (quite a few of them) still to this day acknowledge the responsibility of each member of the extended family for the honor of the extended family. At the age of 10 or 13, Romani children begin taking responsibility for their younger siblings, and they consciously aid their parents so their parents will have more time to focus on making a living. It is almost always the responsibility of the eldest person in the extended family to supervise whether that is what is actually happening. This does not always have to be a man. Without being asked to do so by anybody, that person consciously prepares herself or himself and the behavior of the extended family naturally changes toward that person over time. None of this is forced. It is considered so natural it requires no thought and is taken as a natural part of life. When children grow up in such a family atmopshere, they become respected members of their extended families over the years to come. If you ever get to visit a family that runs this way, you will be surprised by the self-confidence of all the members of the group, including children. 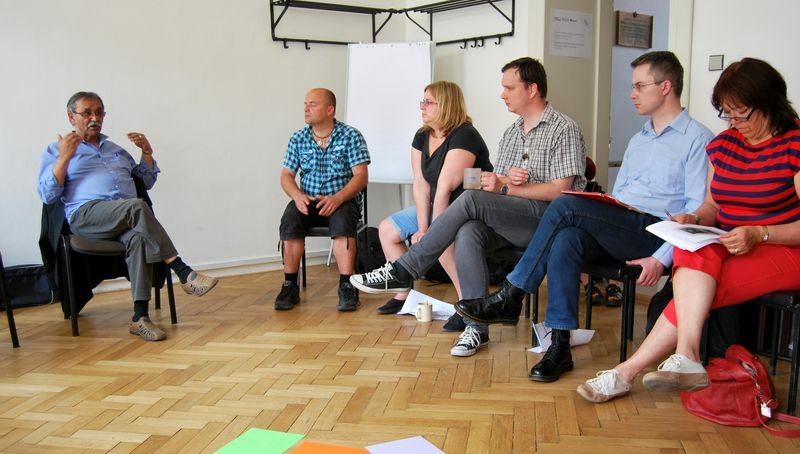 During the first weekend in June, Čeněk Růžička joined a seminar for teachers called “Jáchymka – Training respect and tolerance”, organized by the Terezín Initiative Institute. “Your Sunday chat with us helped us connect the topics discussed with your family’s fate. 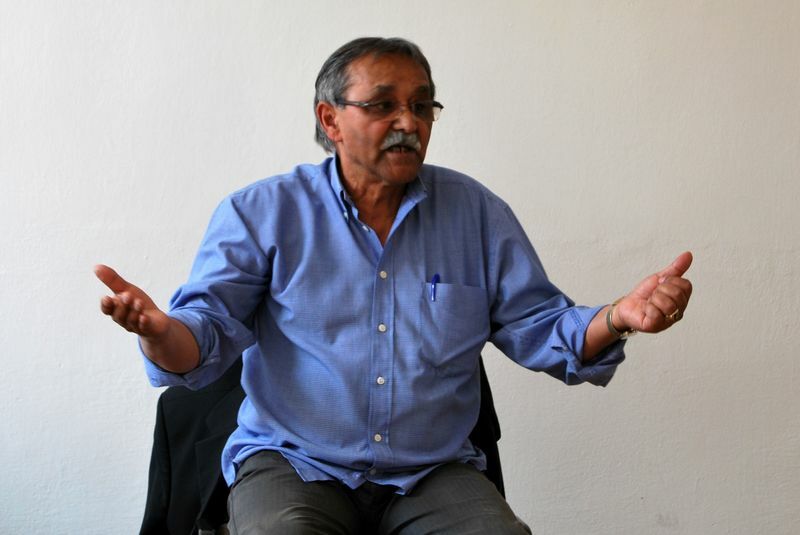 Your recollections,you’re your experience with the work of the Committee for the Redress of the Roma Holocaust, expanded what we know about an issue that is not yet sufficiently discussed. Your storytelling was captivating and greatly inspired the participants. During the closing assessment bloc, the discussion with you was mentioned several times as one of the strongest points of the seminar,” the director of the Institute wrote in her letter of thanks to Čeněk Růžička.